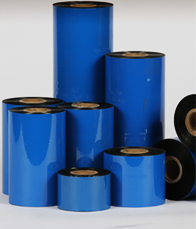 Our Thermal Transfer Ribbons range from stocked General Purpose Wax, Wax / Resins, Resins and Near Edge Ribbons. Our Ribbons offer superior smudge and scratch resistance and unbeatable edge definition. Our ribbons have excellent bar code scan ability. We also offer a variety of ribbon and label kits which perfectly match ribbons types and sizes with labels.